I absolutely adore vintage fashion! 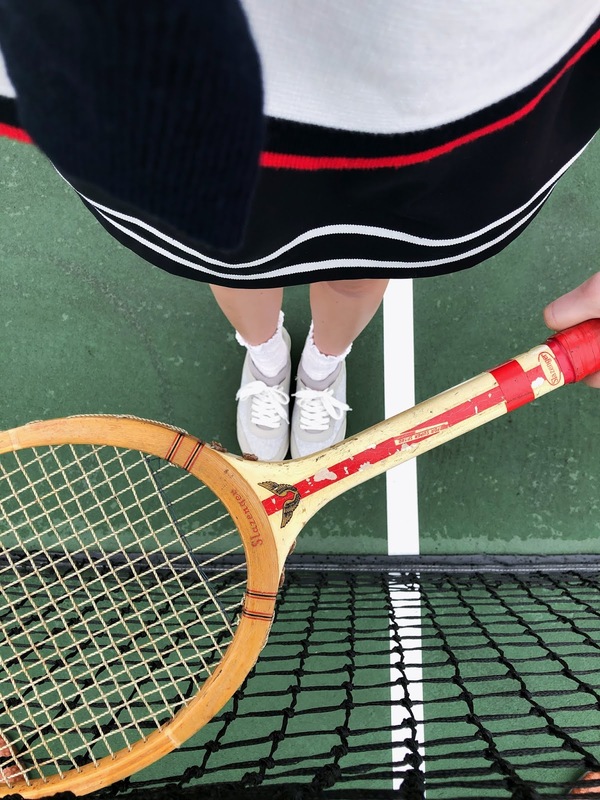 I was scrolling through Pinterest a few weeks ago and came across some old black and white photos of girls playing tennis in the cutest outfits and I was completely inspired to create my own vintage-esque tennis outfit. It just so happened that that same week a company called Course & Club reached out to me and asked if they could send me one of their darling skorts... talk about perfect timing, right?! Course & Club skorts are not only adorable, they are seriously the comfiest thing ever! I love the flattering high waisted silhouette and the classic pleated and striped look. These skorts pair perfectly with so many tops from sweaters to polos and just about everything in between. 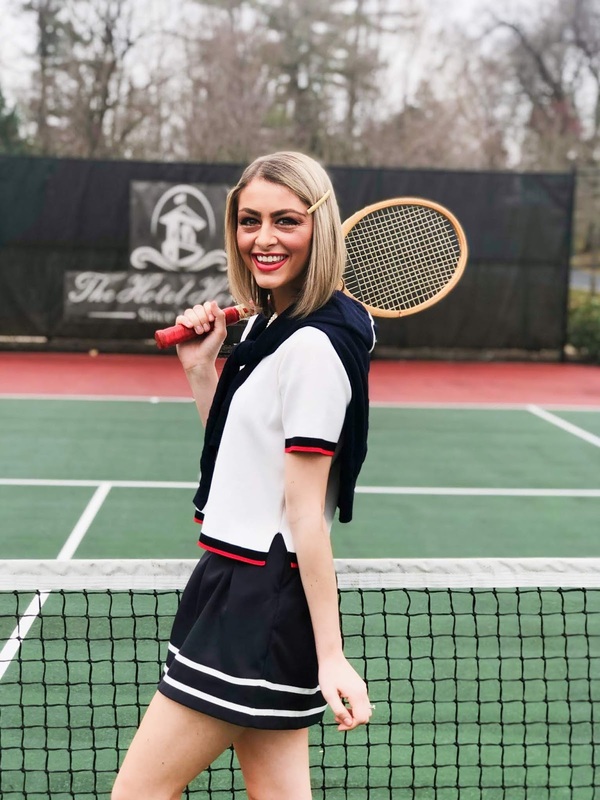 For my vintage tennis inspired look I paired my skort with this short sleeve sweater that I was generously gifted from a local consignment boutique in Hershey called, JhettSet Closet. (If you're a local PA gal you have to check this place out- they have so many designer goodies for a steal!) 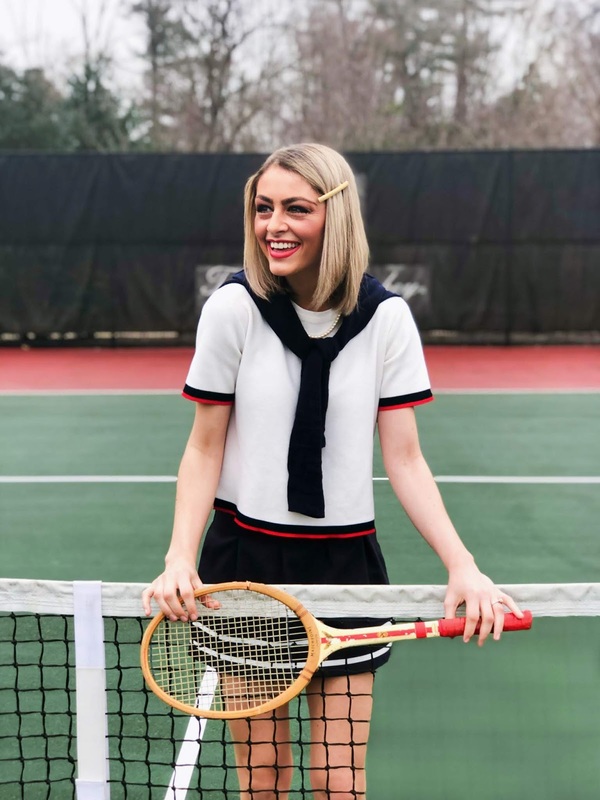 To finish off my look I tied a navy cardigan around my shoulders, slipped on some ruffled socks and my sneakers and I fastened a string of pearls around my neck! You can find all the links to my outfit at the bottom of this post!